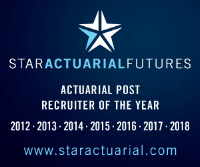 Our client, a major global consultancy, has a number of exciting opportunities for part-qualified or qualified pensions actuaries to join their offices across the south of England where you will prepare and audit financial disclosures under IFRS, US GAAP and UK GAAP. With up-to-date UK pensions experience, the successful candidates will possess excellent team, organisational and communication skills. Contact us now for more information regarding this excellent career-development roles.